On July 22nd, in Las Vegas, NV, David Vanbuskirk was a member of Las Vegas Metropolitan Police Department’s Search and Rescue Team and gave his life while rescuing and ultimately saving the life of another. David was also a Brazilian Jiu- Jitsu Black Belt under Sergio Penha. 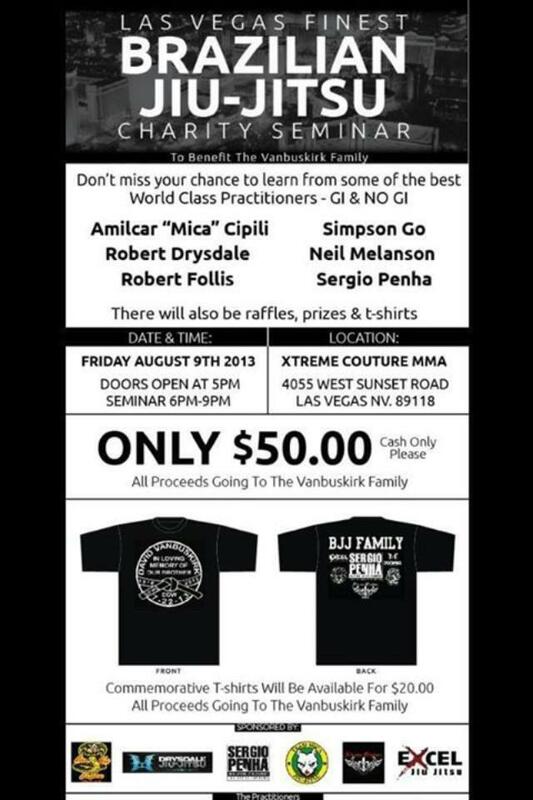 Dave was a phenomenal human being and because he embodied everything that one should strive to be, the Jiu- Jitsu Community in Las Vegas has come together to put on a great seminar with all benefits going to the Vanbuskirk Family and is going to be hosted at Xtreme Couture MMA. We encourage all locals and anyone coming into town for the IBJJF tournament to take advantage of the wealth of Jiu-Jitsu knowledge being made available at this seminar, while also supporting a great person and cause. 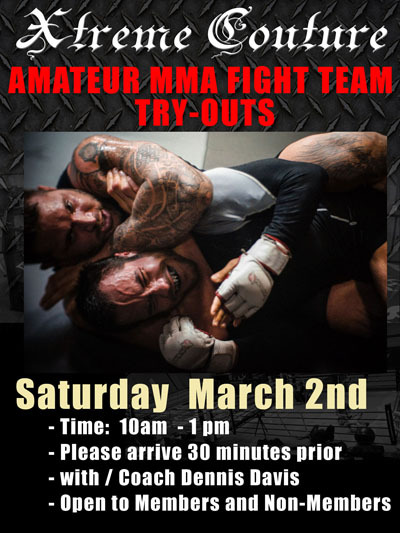 Join us this Saturday at 10am to tryout for our Amateur MMA Fight team. Registration is at 9:30 (No Cost) and is open to the general public. You will be put through a set of drills and tests by Coach Dennis Davis. On October 13th at Xtreme Couture MMA, (Las Vegas, NV) we are having open submission grappling team try-outs at 12 Noon. 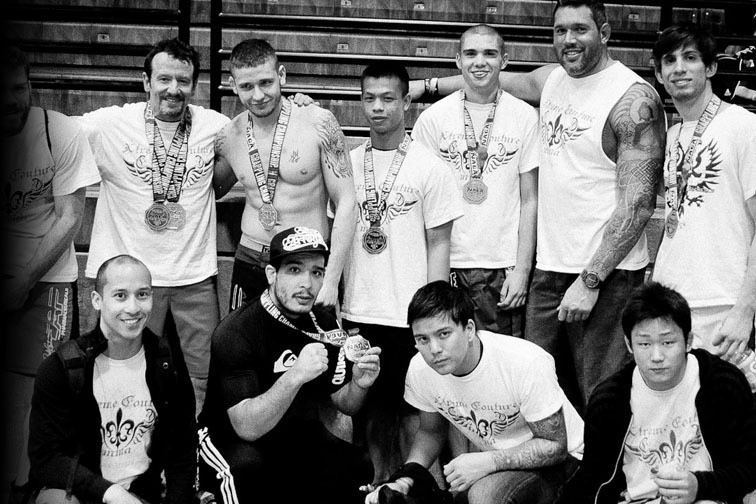 Run by our Grappling Team Head Coach, Neil Melanson. If you like to compete, think you are talented enough and want to represent Xtreme Couture (founded by UFC legend Randy Couture) then come down Saturday 10/13/2012 at 12noon and show us what you have. There is no charge to try-out, it’s FREE and open to the public. We will also have special sign-up deals exclusively for anyone joining that day. Mark your calendar and be prepared to showcase what you know! You could be the next big thing! Yes that is correct, Jay Hieron MMA star and Actor is on tonights episode (Thus Jan 19th, 2012) -of “Person of Interest” on CBS. The show airs @ 9/8pm c.
Person of Interest is the hottest new drama on CBS and winner of the 2012 People’s Choice Award for Favorite New TV Drama, in part because of their great casting!!! 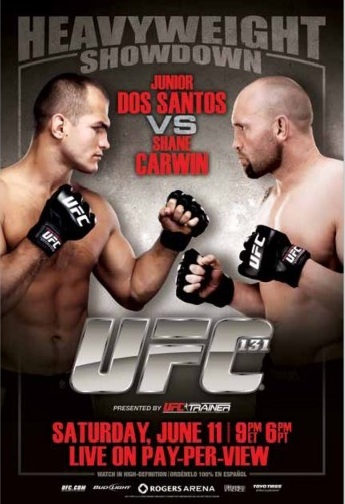 As expected the preliminary card for next month’s UFC on FOX 2 event will air live on FUEL TV. Officials recently confirmed the plans, which include the night’s full preliminary card and a post-event show on the cable station. UFC on FOX 2 takes place Jan. 28 at Chicago’s United Center. The night’s main card, which features three bouts, airs on FOX. FUEL TV is owned by FOX, which kicks off a seven-year deal with the UFC next month. As part of the landmark partnership, FUEL TV and FX will be frequent homes for UFC preliminary-card broadcasts. Fights slated for the UFC on FOX 2 preliminary-card broadcast on FUEL TV include bantamweights Johnny Bedford (18-9-1 MMA, 1-0 UFC) vs. Eddie Wineland (18-8-1 MMA, 0-2 UFC), lightweights Paul Sass (12-0 MMA, 2-0 UFC) vs. Evan Dunham (12-2 MMA, 5-2 UFC), lightweights Cody McKezie (12-2 MMA, 1-2 UFC) vs. Michael Johnson (9-6 MMA, 1-2 UFC), featherweights George Roop (12-8-1 MMA, 2-4 UFC) vs. Cub Swanson (15-5 MMA, 0-1 UFC), heavyweights Jon Olav Einemo (6-2 MMA, 0-1 UFC) vs. Mike Russow (14-1 MMA, 3-0 UFC), and middleweights Dustin Jacoby (6-1 MMA, 0-1 UFC) vs. Chris Camozzi (15-5 MMA, 2-2 UFC). We welcome fans of all ages to join us! We supply at no charge pizza, snacks and water on a first come first serve basis. Tomorrow night Xtreme Couture fighter Dennis Davis will fight for the title at United Combat Sports LLC Caged Combat Three @ Spirit Mountain Casino Events Center. Dennis took this fight on short notice but is in great shape and ready to win. Please wish Dennis good luck! !